My blog is about spiritual concepts. In my posts I offer my personal insights and share ideas for my upcoming Sunday lessons at Unity Spiritual Center Denver. In Matthew 22, when asked, “What is the greatest commandment”? Jesus replied, “Love the Lord your God with all your heart and with all your soul and with all your might and with all your mind…and the second is like unto it, Love your neighbor as yourself.” When we know, as Unity principle teaches, that God is not external to our being, this commandment takes on a meaning different from what we might have once believed. In The Revealing Word, a metaphysical dictionary by Unity’s co-founder Charles Fillmore and others, ‘Lord’ is defined as “The activity of the spiritual I AM as the ruling consciousness. The Lord God of the Scriptures is Christ, the Spiritual Man; our divine consciousness; the creative power within us.” To love “the Lord” is to devote time, talent, and resources to embracing and embodying Christ consciousness, and doing whatever it takes to live from the awareness that the I AM is the only Truth. It is being committed to the practice of worshiping, as The Revealing Word defines it, “bestowing one’s love on, or identifying with,” the Christ or I Am in every thought, word and action. When Jesus instructs us to “Love the Lord your God,” he is telling us that the most important intention in life is to Love - to spend time connecting with, listening for and following - the indwelling Truth of our being, the ‘I AM,’ with everything that we are. And, like unto that is to Love – practice connection, curiosity, compassion, care and celebration - for everyone, including ourselves with that same passion. Listen to my lesson from last week to learn more about these practices. The commandment to “love your neighbor as yourself” is open to interpretation. The most common understandings are that Jesus was instructing us to love each other in the same way that we love ourselves, or to love others as though they are us. Either requires us to look closely at how we are loving ourselves. The Love that Jesus referenced is what we often refer to as “unconditional love.” To love unconditionally means simply to love absent any condition. Merriam-Webster defines ‘condition’ as “a restricting or modifying factor.” The truth is that most of us love ourselves conditionally. 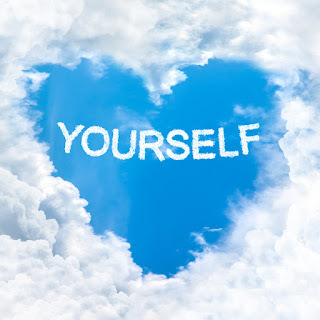 We allow our evaluations or judgments about some aspect of our appearance, our financial situation, our relationships, or our jobs, just to name a few, to justify withholding unconditional love from ourselves. Each of us has our own personally-defined factors that we allow to restrict or modify our expression of self-love. These personally-defined conditions not only restrict our complete, total and unconditional loving embrace of ourselves, but of every person in our lives. As we judge ourselves, so we project those judgments upon everyone else. The good news is that we can affect a “holy shift” (see my post from last week) in how we perceive ourselves, thus how we perceive others. If we are to live what Jesus taught as the greatest commandment, it is imperative that we begin with the loving embrace of ourselves, to see ourselves through the eyes of Love, and to treat ourselves with loving kindness. And, without condition, extend that awareness to all others through our every thought, word and action. Let us affirm together: From the consciousness awareness of the Christ, I AM, I embrace myself and others in unconditional love. If you are in the Denver area, join us on Sunday at 10:00 at Unity Spiritual Center Denver as we explore in greater depth what it means to love ourselves and how we demonstrate self-love. If you are unable to join us, the audio and video recordings will be posted next week. Audio recordings of my lessons are available here. Videos of many of them are available here. If you find these posts or my lessons inspiring, please consider making a tax-deductible contribution to Unity Spiritual Center Denver – https://tinyurl.com/y9lgu8pk. Your donations help us teach Unity and expand unconditional love one to another.